Situated near the boardwalk, this hotel is within 9 mi (15 km) of Cathedral of Siguenza, Siguenza Castle, and San Vicente Church. Casa del Doncel and Salinas de Imón (siglo X) are also within 9 mi (15 km). 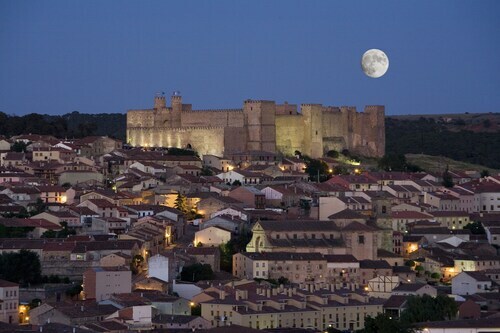 Situated in Siguenza, this hotel is within 6 mi (10 km) of Cathedral of Siguenza, Plaza Mayor, and Siguenza Castle. Puerta del Toril and San Vicente Church are also within 9 mi (15 km). Situated in the historical district, this hotel is steps from Siguenza Castle, San Vicente Church, and Casa del Doncel. Plaza Mayor and Puerta del Toril are also within 10 minutes. Sigüenza Station is 11 minutes by foot. Situated in Atienza, this hotel is 0.8 mi (1.3 km) from Castle of Atienza and within 12 mi (20 km) of Salinas de Imón (siglo X) and Church of Santa Coloma. Cathedral of Siguenza and Plaza Mayor are also within 20 mi (32 km). How Much is a Hotel Room in Carabias? Hotels in Carabias start at $54 per night. Prices and availability subject to change. Additional terms may apply. For travelers who are planning to stay near the heart and soul of Carabias, Travelocity lists a limited range of local places that are sure to please. 5 hotels and apartments listed on Travelocity lie within easy driving distance. 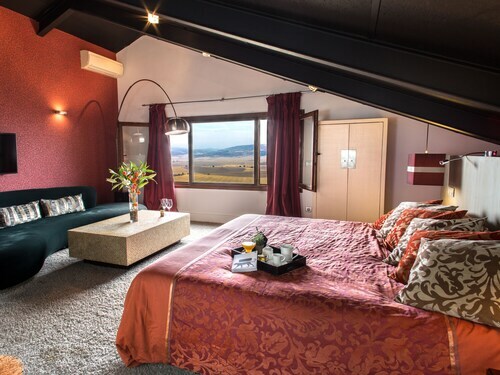 Even though Carabias can't boast to a huge selection of Travelocity-listed rooms in the midst of the urban center, Rusticae Hotel Cardamomo Sigüenza is handy enough to satiate visitors. 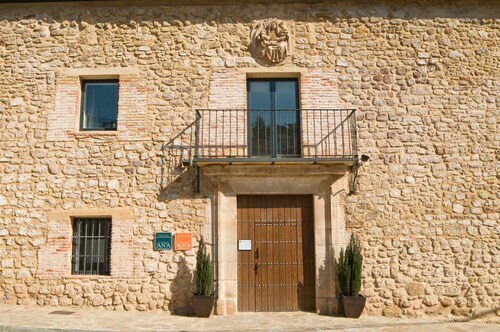 The Parador De Siguenza can be found 4 miles (6 kilometers) away from the town center of Carabias. 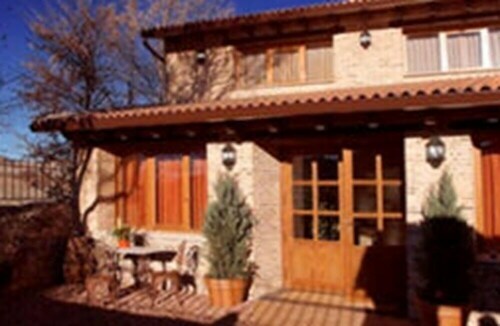 Another option is the Rusticae Hotel Cardamomo Sigüenza, which can be found approximately 0.4 miles (0.7 kilometers) away. The Posta Real along with the Hotel-SPA El Molino de Alcuneza are two alternative accommodation options worth checking out in Carabias. If you have some spare time, adventurous travelers should venture to the other parts of the Castilla - La Mancha region. Castilla - La Mancha has rivers, streams and lakes, and commonly visited visitor places of interest are ruins, castles and old towns. Sporty travelers may also delve into cross-country skiing here. Siguenza is 3 miles (5 kilometers) to the east of Carabias and is home to Plaza Mayor and Siguenza Cathedral. The Casa del Castillo and Posada los Cuatro Caños are a handful of the Travelocity-recommended hotel options in Siguenza. 25 miles (40 kilometers) to the south of Carabias, is Brihuega, which boasts the Hotel Spa Niwa and Hospederia Princesa Elima. If you visit Brihuega, you might like to visit the Professor Max's Miniatures Museum and Pena Bermeja Castle. Make sure you get yourself a serving of local sport by making the journey to Numancia, which is located 50 miles (83 kilometers) to the north of Carabias. Modern visitors that would like the ease of booking a room nearby, reserve a room in the Hotel Sercotel Ciudad De Soria or Hostel Sercotel Soria. When you're flying through Barajas Airport and are hoping to book a Travelocity-listed room in the area, why not consider Hilton Madrid Airport or Meliá Barajas.